Al Pacino is a Mob Boss Again! 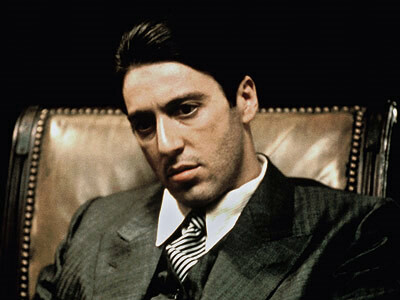 Spanning a successful movie career that’s nearing four decades, Al Pacino marked his big break playing a mob boss’ apparent successor in Francis Ford Coppola’s epic mob drama The Godfather 39 years ago. Pacino has since ventured into sub-par movie roles revolving around cops, empire leaders, and small-time syndicates, with a pair of winning performances every few far in-between. Today, Al is giving the genre that made him another try by portraying a mob boss in his next movie project. The 71-year old actor has signed on to join the cast of Gotti: Three Generations, the true-to-life crime saga revolving around the story of John Gotti Sr.
Pacino is set to play Gambino crime family underboss Neil Dellacroce, an associate and mentor of Gotti. John Gotti Sr. of course, is known to the public as “The Dapper Don” for his expensive clothes and flamboyant personality in front of the media, despite having earned an underground reputation for his criminal activities, including hijacking, loan sharking, gambling, and murder. Pacino will be a part of a cast that includes John Travolta playing the lead role, Kelly Preston, Lindsay Lohan, and attack this – Joe Pesci (same guy who gained angas in Raging Bull and Goodfellas, but eventually lost it playing slapstick roles in Home Alone and Lethal Weapon). The project also reteams Pacino with Barry Levinson, who directed him in the Emmy-award winning HBO film You Don’t Know Jack. Also giving it a green light is Gotti Sr.’s son John Jr., who has given this indie-financed project a blessing. The film is set to be released at the Cannes Film Festival in 2012. Explainer: Who is This Justin Bieber Character?